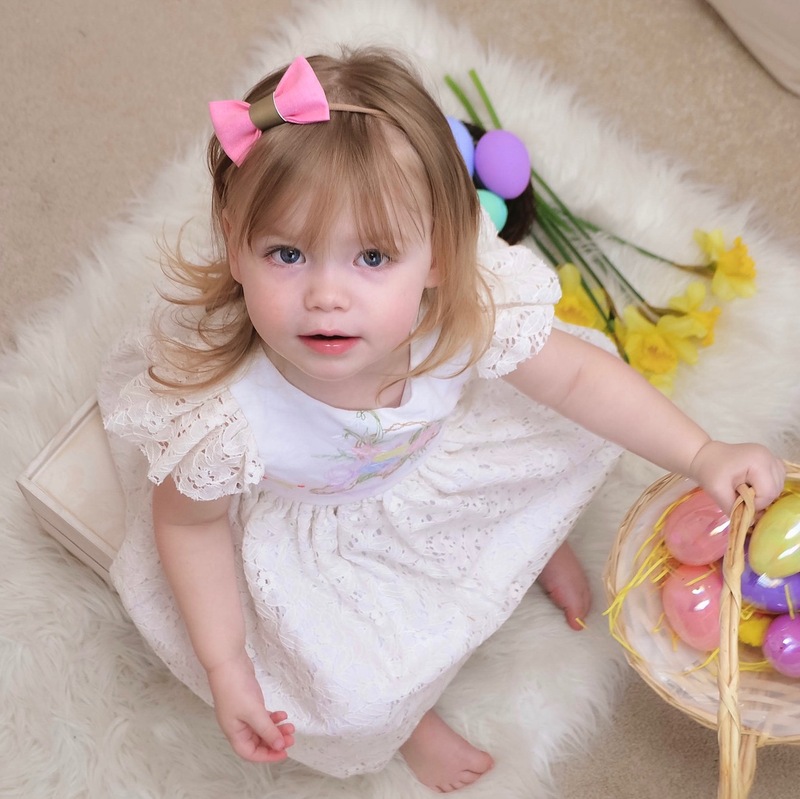 Beautiful bright pastel spring baby headband set on clips or headbands. 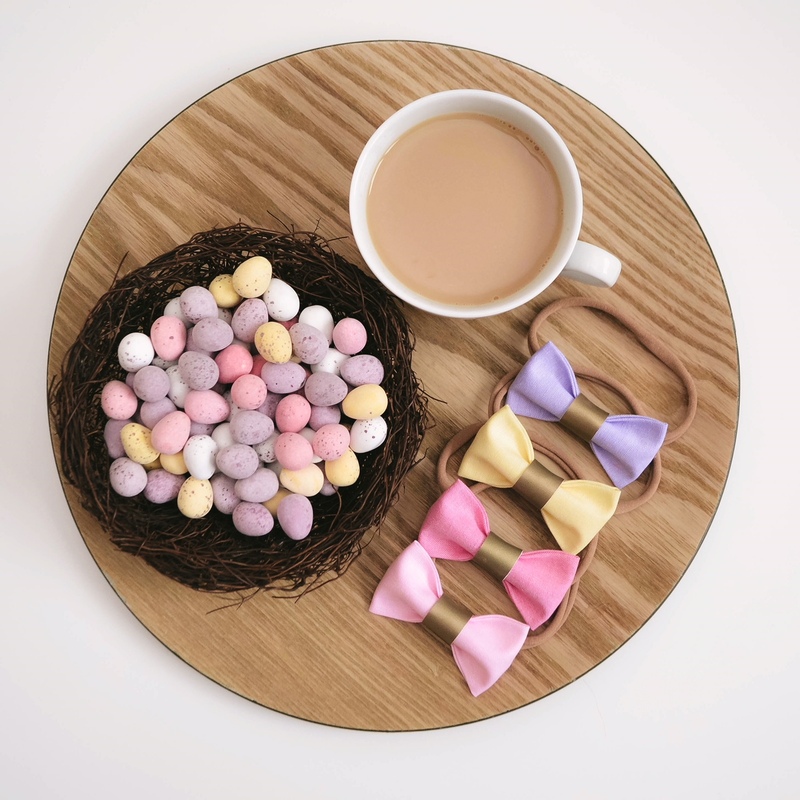 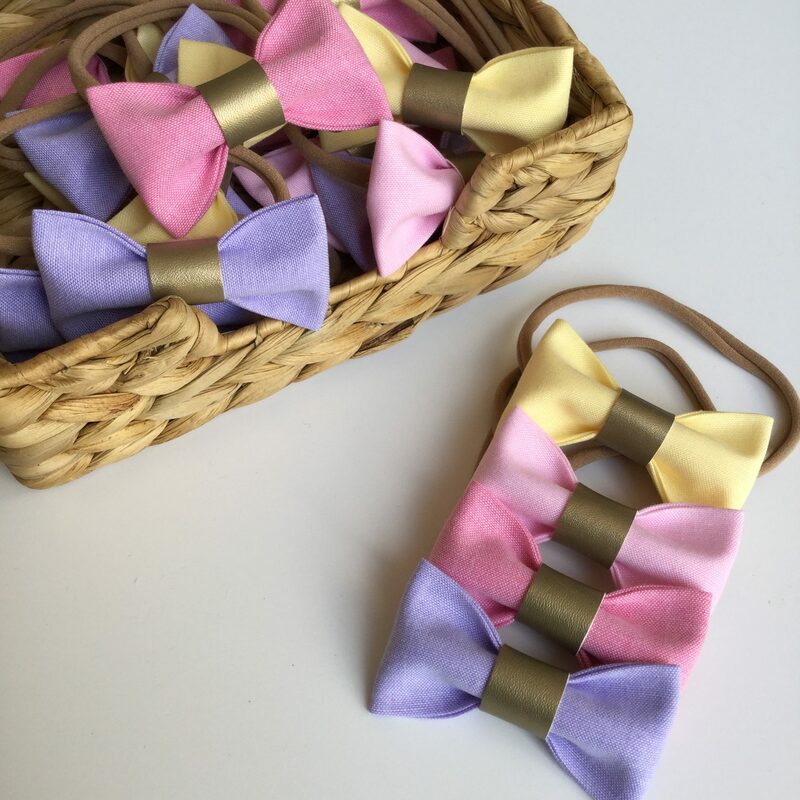 Beautiful bright pastel spring baby headband bow set. 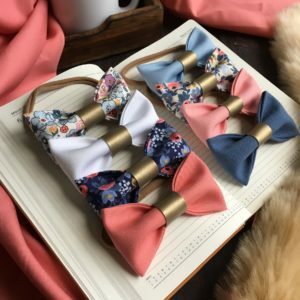 This set of four beautiful fabric pinch bows set into extremely comfortable and stretchy non slip headbands, hair clips or bobbles. 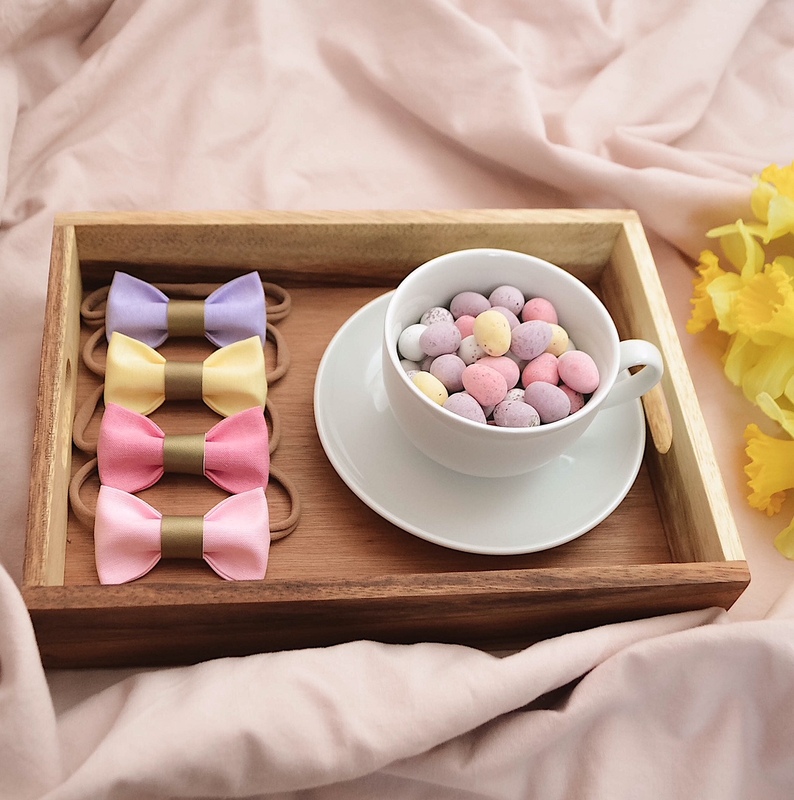 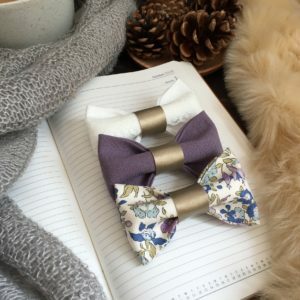 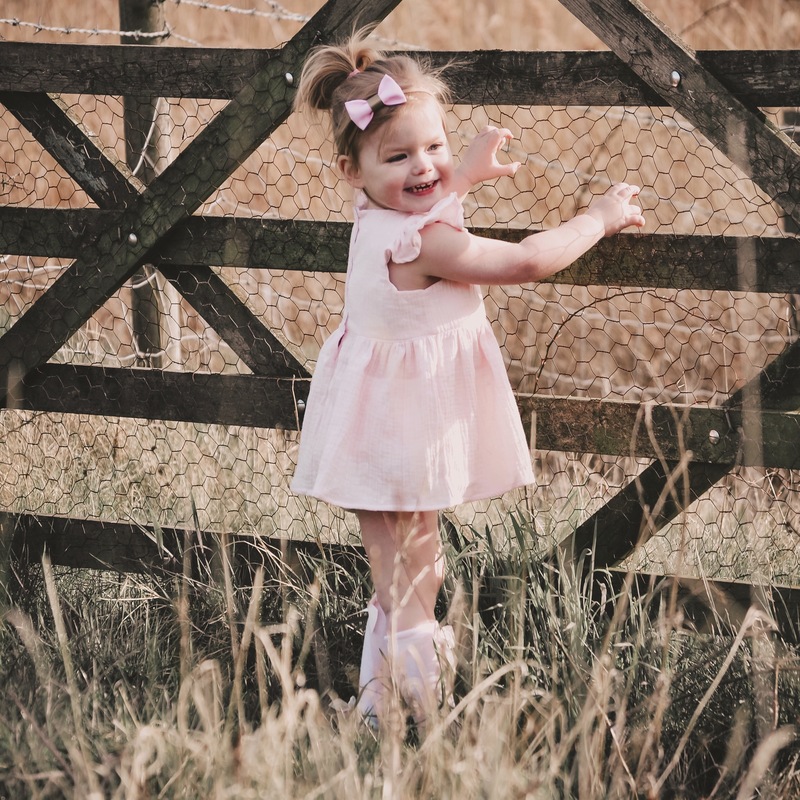 The dainty hair bows themselves are hand made from high quality lightweight fabrics ensuring they are light and comfortable for baby and won’t leave any marks on precious heads. 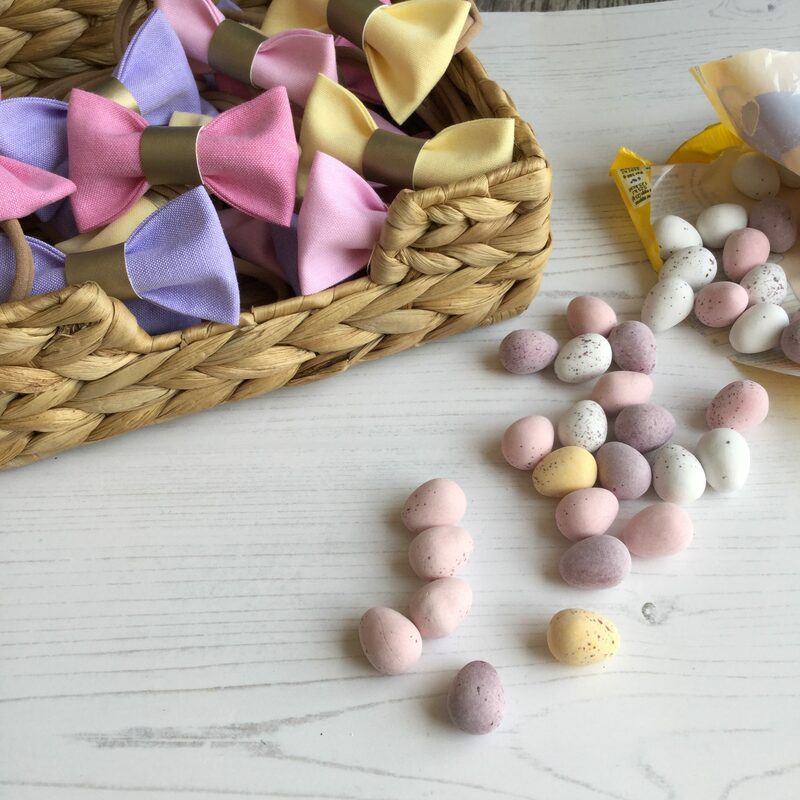 These beautiful spring baby headband will fit from teeny weeny newborn all the way to toddler and beyond and make the most perfect baby shower gift set! 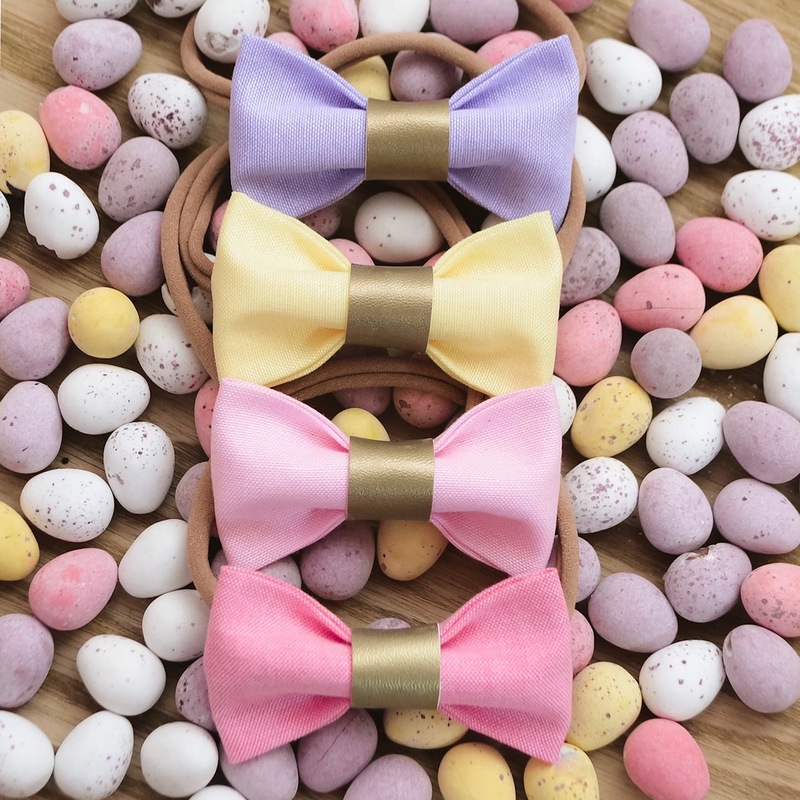 If your little one has a dusting of hair, you can stick with headbands or select to have your baby bow set on a clip. 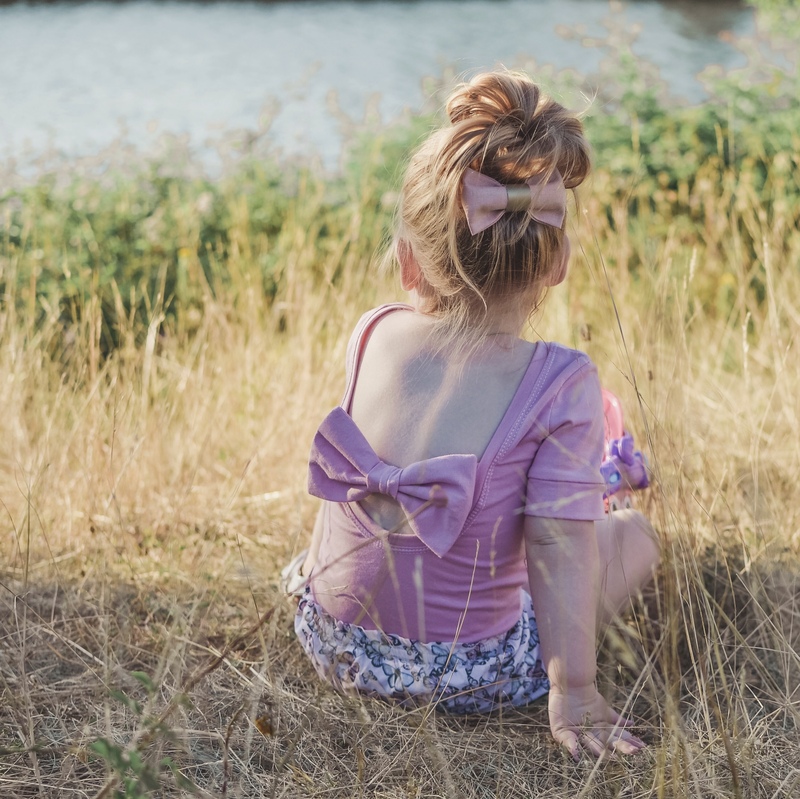 A tiny size baby bow hair clip makes the perfect fringe clip hair accessory for those first wisps of hair. 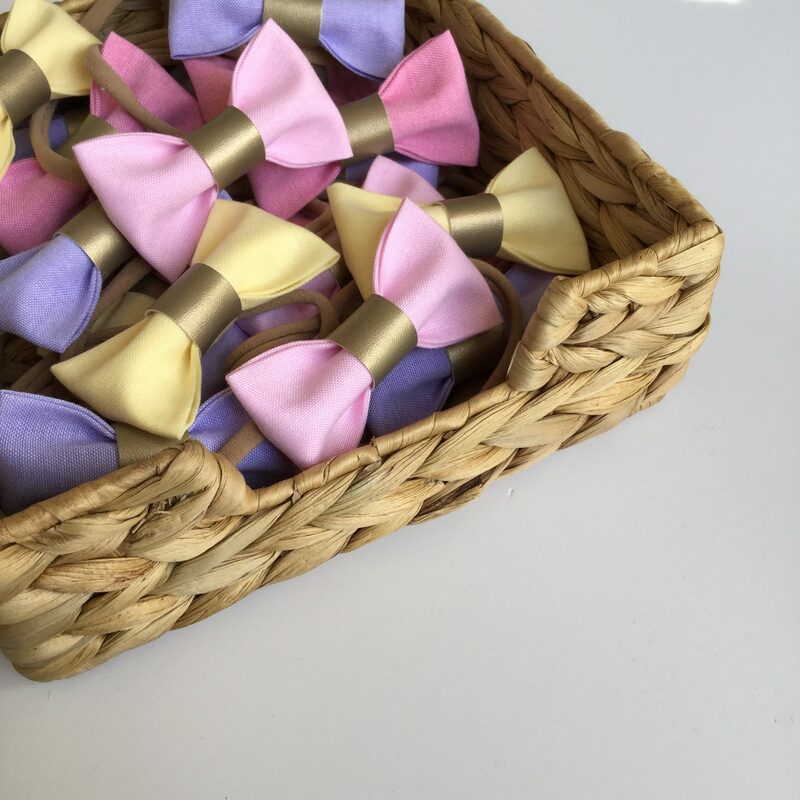 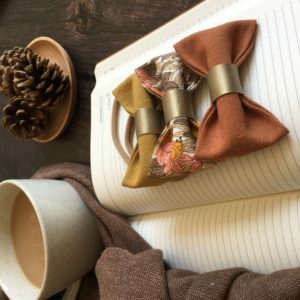 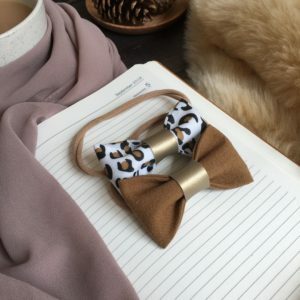 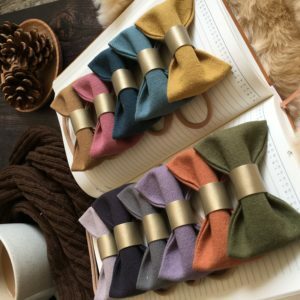 The fringe bow hair clips are set onto small alligator clips that will slide through hair without dragging and snagging fine hair should little fingers get a hold of the bow! 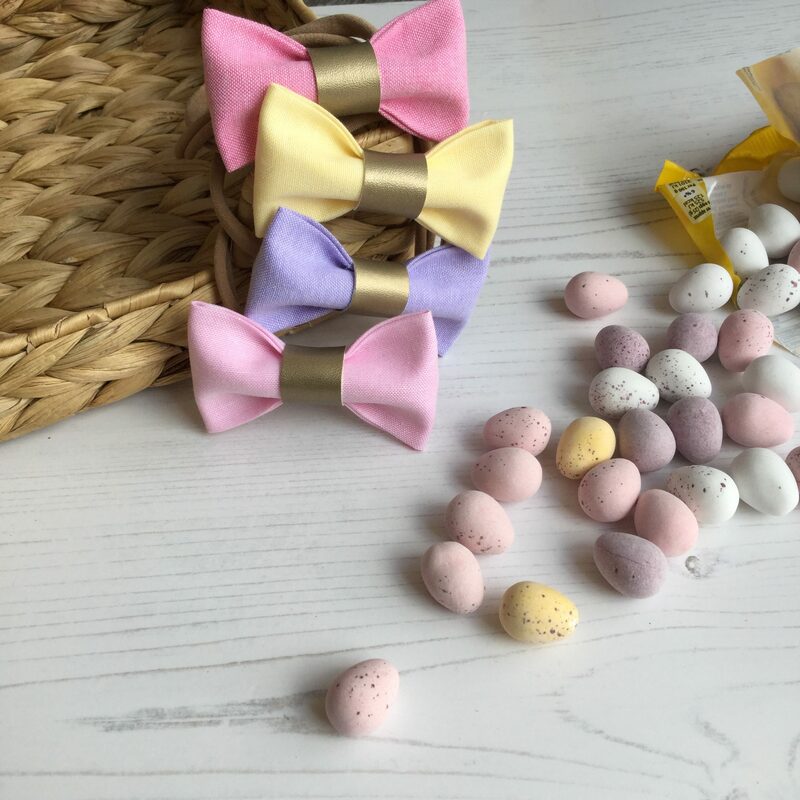 Whilst baby hair bows come as standard on super soft one size headbands, they can also be set on clips or bobbles for older girls or adults, just select your preference from the drop down when ordering.